As I mentioned in an earlier blog posting this a.m., I am in the midst of a copy edit blitz, and as I finish the copy edit for each section, I will share briefly. My plan is to share (a) an image from Katie Knox from each chapter; (b) a treasured visual Table of Contents (TOC), which Missy Urbaniak created as a gift for me; and (c) a story from each chapter. First, an image from Katie, which will be in the Preface. 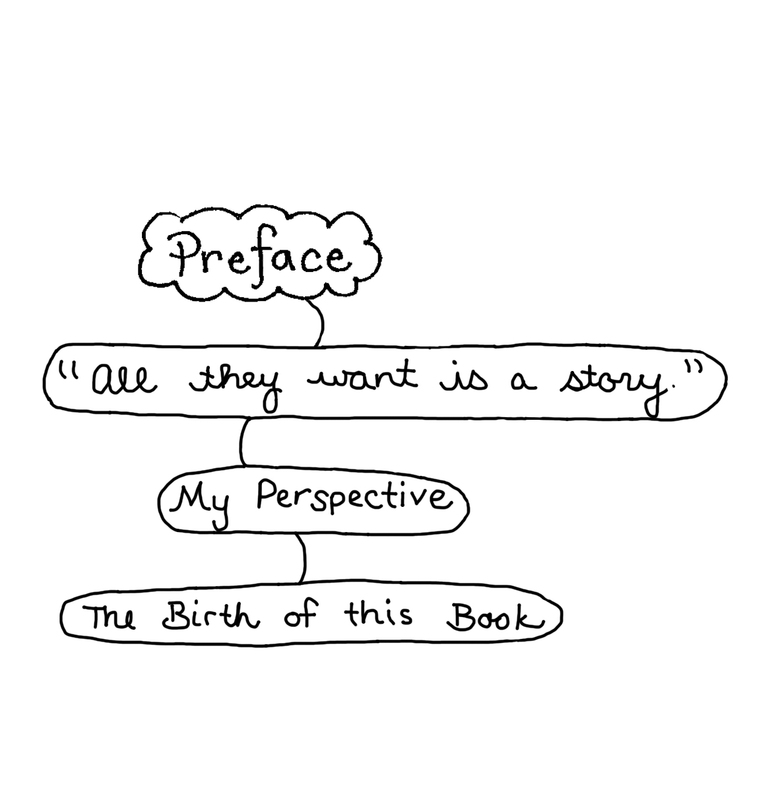 Second, a visual presentation of the contents of the Preface from Missy. And, finally, a little story from the Preface. Let me remove all mystery and share my perspectives, which will flow throughout the chapters. First, librarians are teachers, too—the entire school or the public library is their classroom. Therefore, throughout much of this book, I will use these three words interchangeably: teacher, school librarian, and librarian. I will try very hard not to use words like, libreachers or teabraians, but that is exactly what I mean. I find that I am in very good company in this new and emerging understanding that librarians are teachers, too. The American Association of School Librarians (AASL) has a new position statement (http://essa.aasl.org/aasl-position-statements/), which supports my understandings. In addition, as you read the following chapters, you will find that libreachers or teabrarians are some of my favorite people in the whole world.